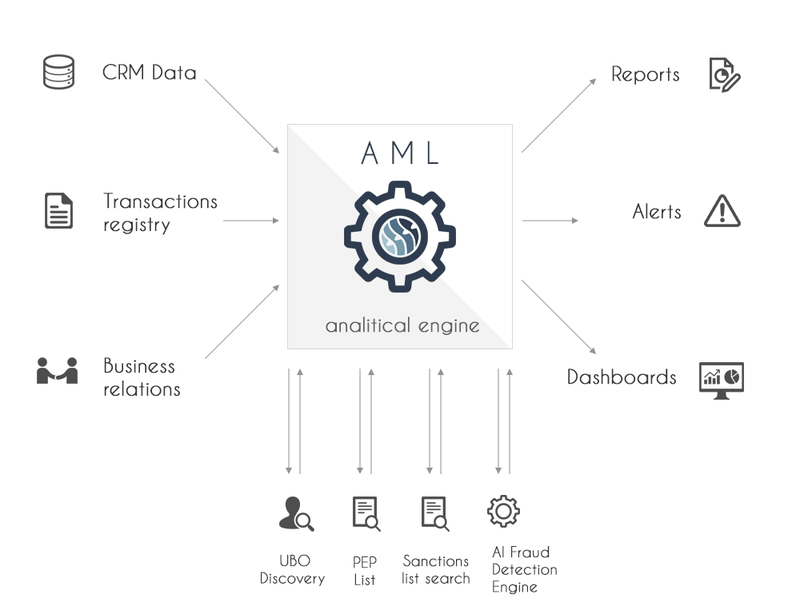 Our AML platform will be offered in SaS model on very efficient and scalable IT environment. We offer both out-of-the box Software as Service products and advanced AML / CFT solutions tailored to individual needs. We could also provide you variety of consulting and assistance services with data integration with your third-party system, designing complete AML solutions and even more.